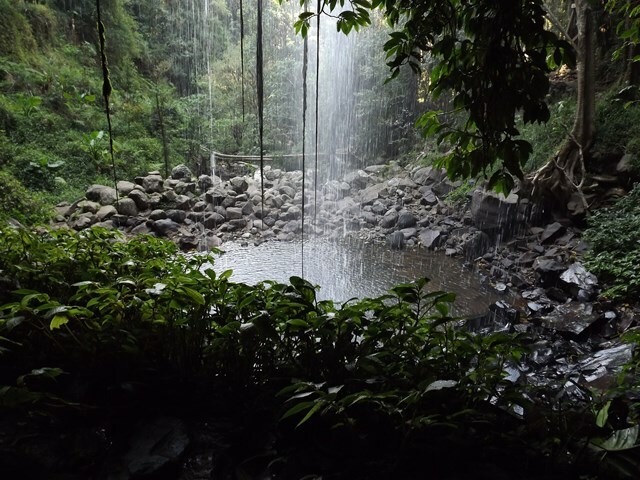 This rainforest walk is on a sealed track for its entire length, making it quite easy. However the track does descend to the bottom of the two waterfalls it passes before ascending to the start again. If following the track in a clockwise direction you will come to Tristania Falls which you pass in front of via a bridge. Crystal Shower falls is also seen from a bridge, but there is a track to walk behind these falls as well. The track can also incorporate the Walk with the Birds Boardwalk. 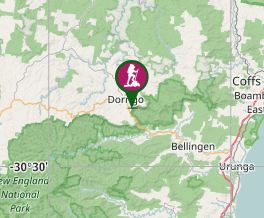 This walk starts at the Dorrigo Rainforest Centre on Dome Rd which is off the Waterfall Way. The waterfalls on this walk are just fantastic. If you're passing Dorrigo make sure you take advantage of the opportunity and experience this walk.